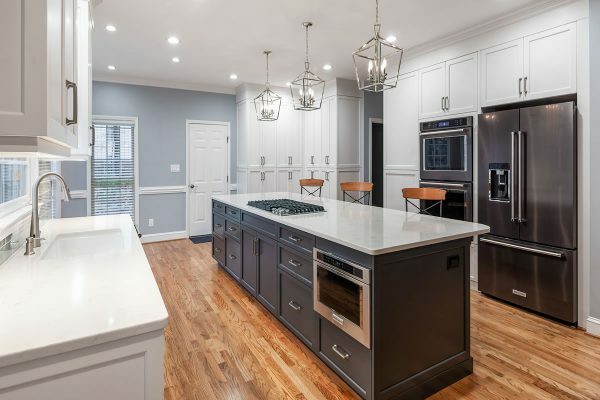 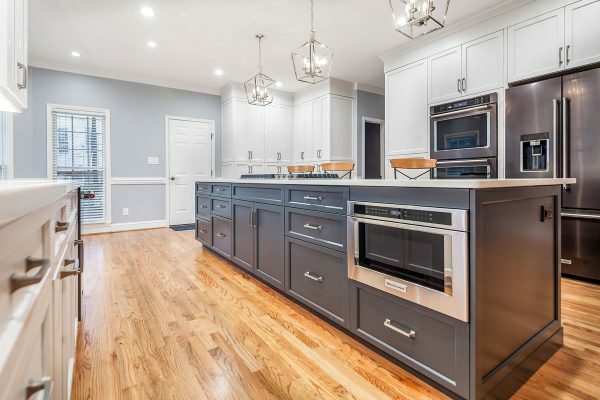 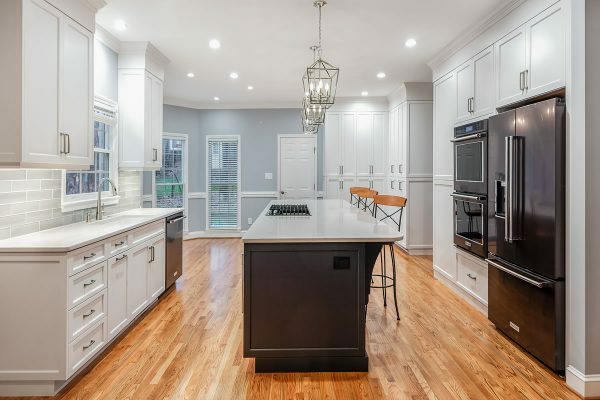 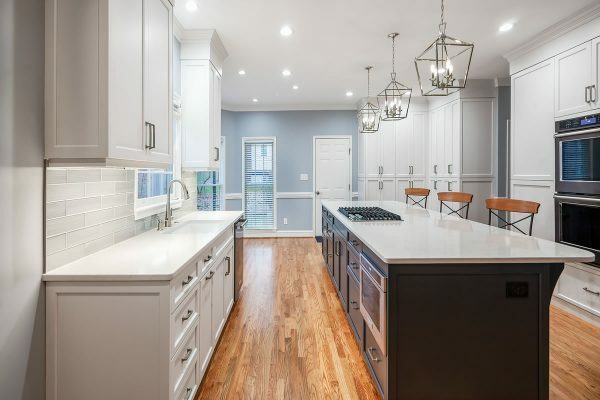 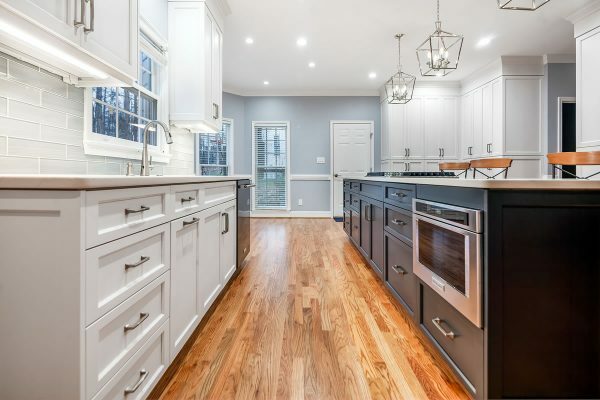 This kitchen remodeling project was designed to create a more open plan concept, removing a mud room and relocating the downstairs laundry to the second floor bedroom area. 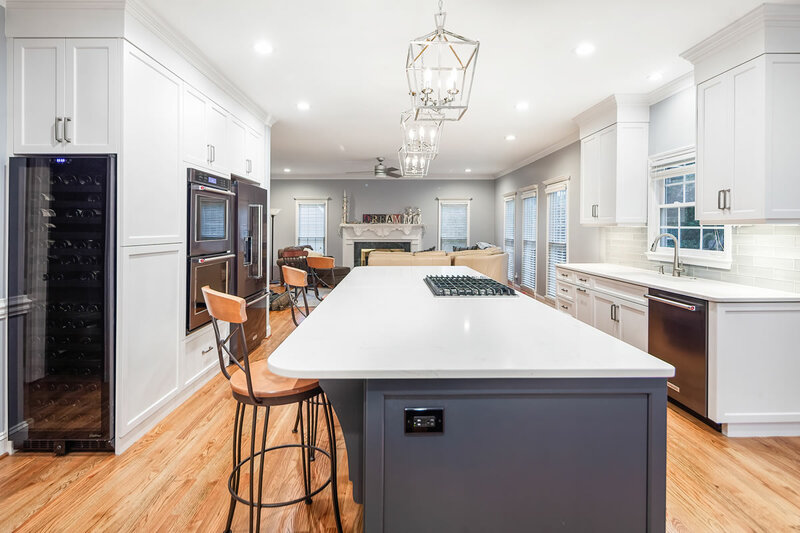 The remodeling included removing a partition to the family room and designing a 12-foot kitchen island suitable for entertaining. 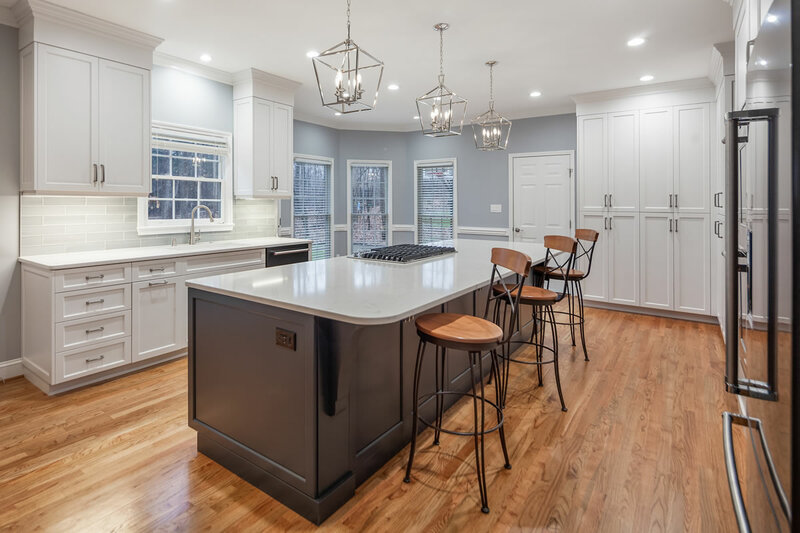 The updated kitchen required reinforcing the floor structure. We also reconstructed a section of exterior wall after discovering wood rot during the initial demolition. Kitchen lighting was enhanced with LED fixtures that provide multiple lighting options and new sight lines improved natural light. 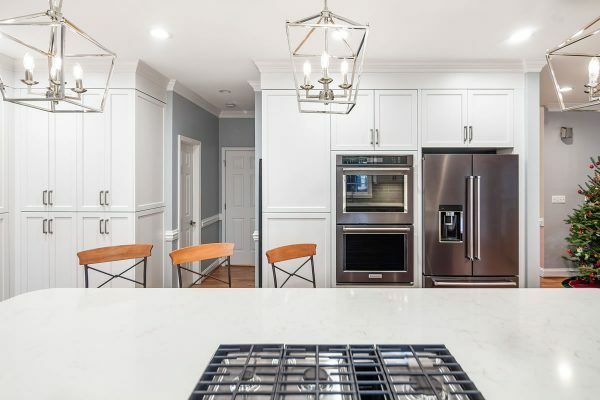 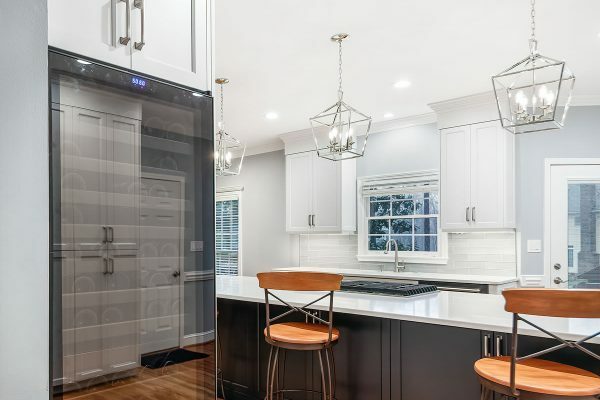 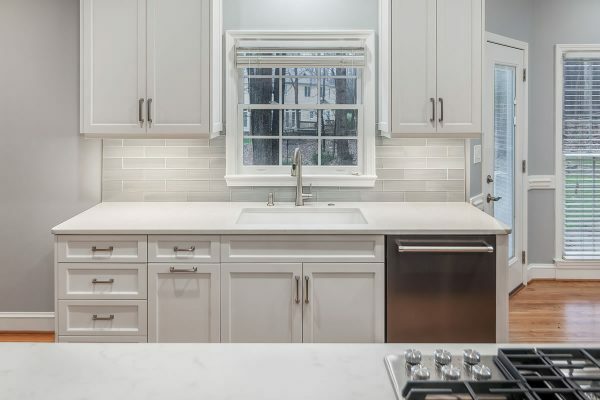 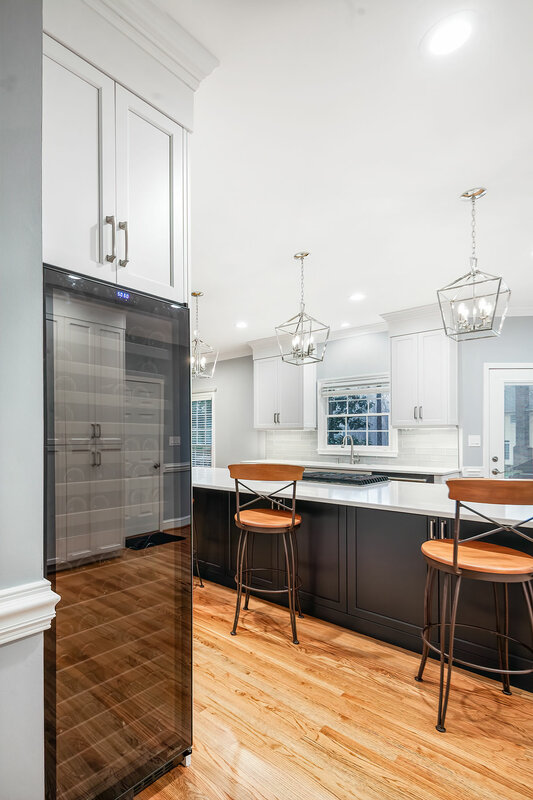 The homeowner originally envisioned installing a pantry in place of the mud room, but as we worked through the design we recommended tall cabinets with rollout shelves to better utilize the space and provide both form and function. LED Lighting provides a variety of options for every mood. 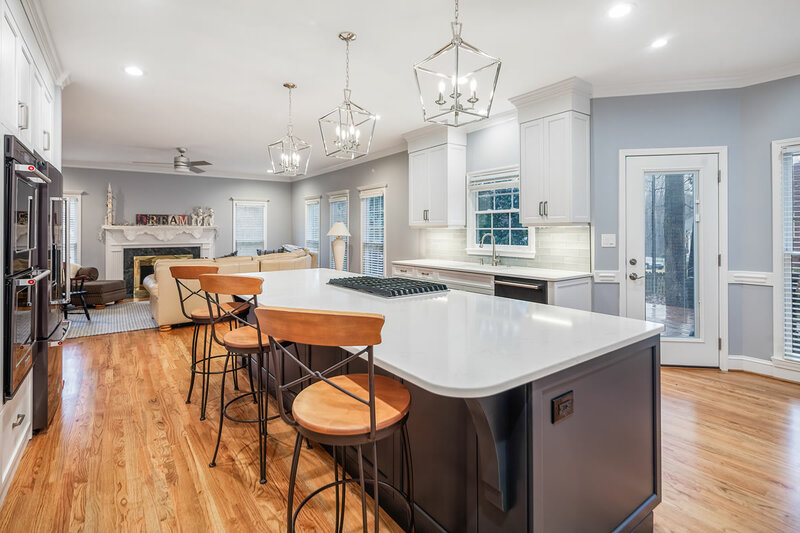 A seating option with the center island inspires conversation. 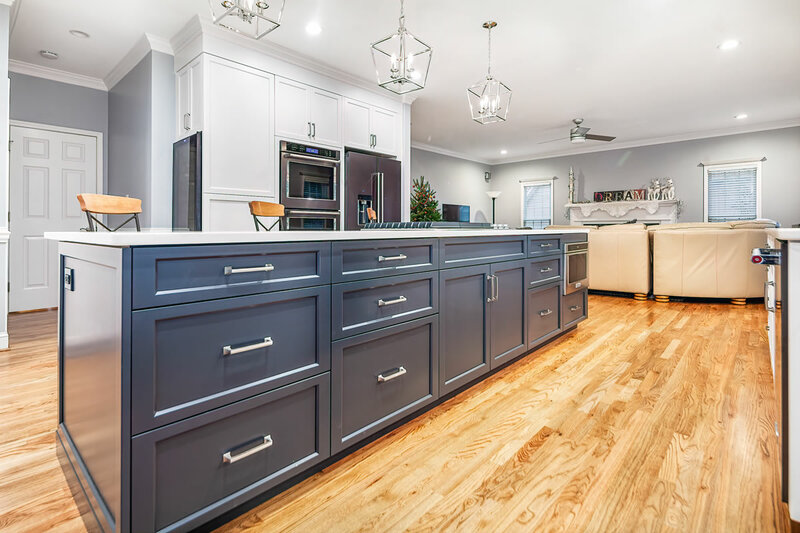 Tall cabinets with rollouts take the place of a pantry and look great. 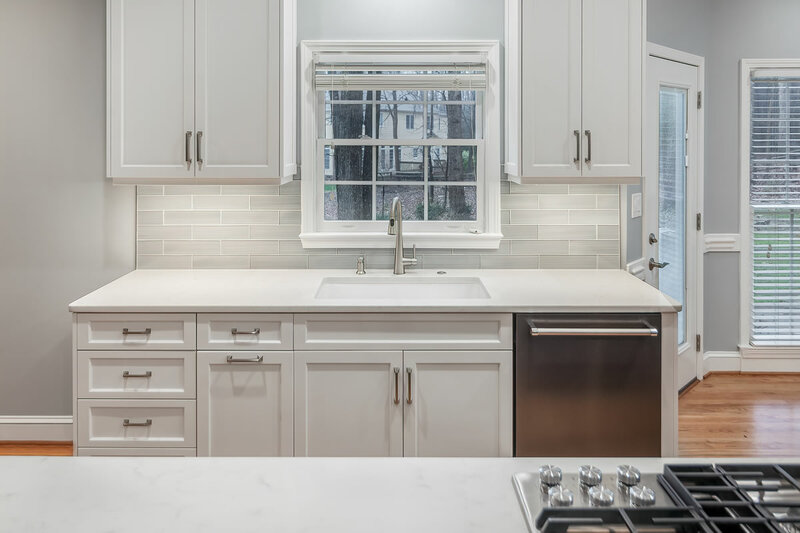 Additional cabinetry provides extensive storage. 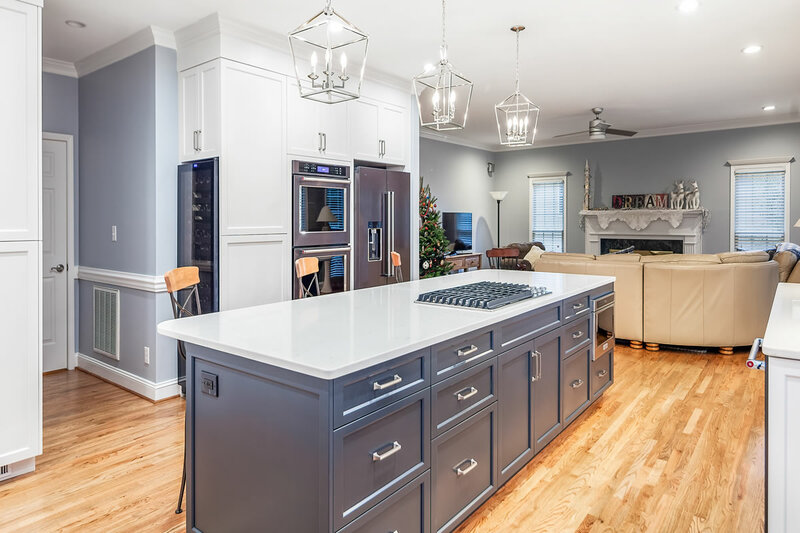 A center island cooktop keeps the chef involved with guests and family. 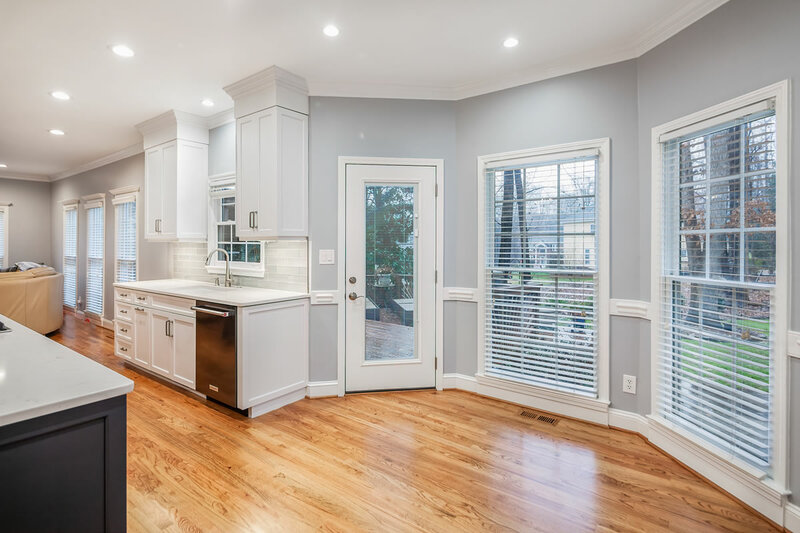 The gorgeous wood floor adds depth and warmth to the entire area.